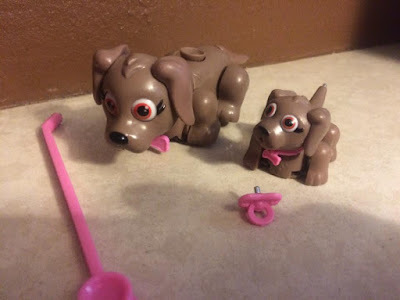 Trials & Tribulations Of A Brummie Mummy: Pet Parade Family Mum and Baby from Flair. Pet Parade Family Mum and Baby from Flair. Lexie loves anything that is animal related or any type of figures, anything cute always gets her vote. 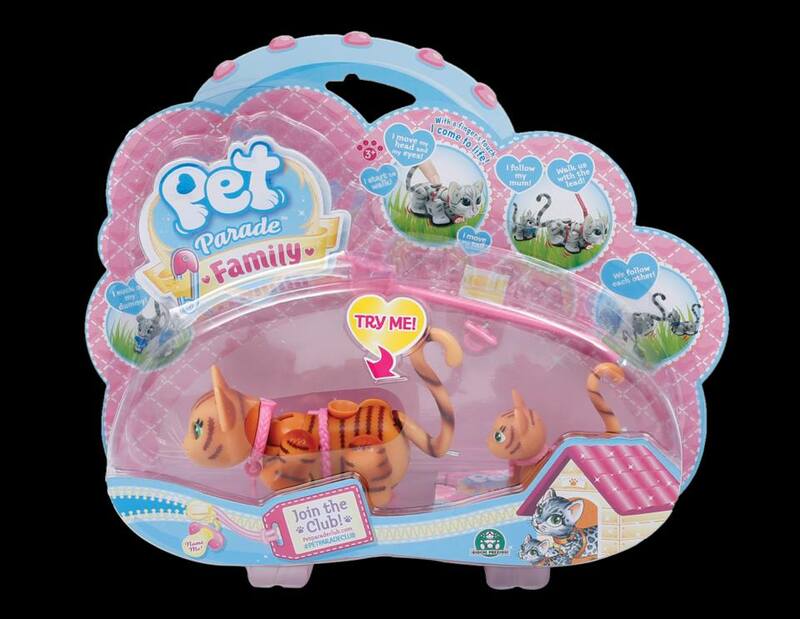 We had an exciting parcel turn up with the new Pet Parade Family pack from Flair. 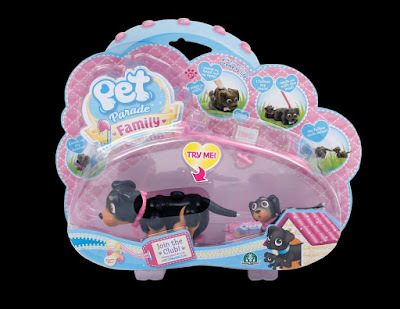 In the family pack there is a 1 Mum, 1 baby animal, 1 lead, 1 customisable collar & 1 dummy. They are available in Dog or Cat different options and breeds. The Pet Parade families walk with the lead and have very realistic movements. No batteries, mean lots of endless play. The joystick button on their back makes the animals walk in the direction their owner chooses and allows you to move the head eyes and tail. 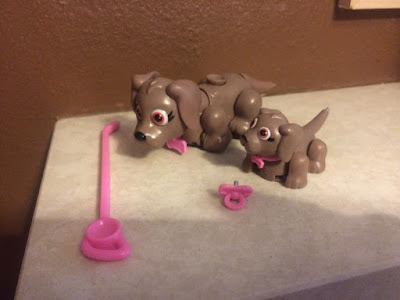 The magnetic feature at the end of the tail joins the two dogs together, so they follow each other around. The baby has a cute little dummy accessory too. Each pet has a name tag that you can name and draw on your own pets names. These are ideal for girls aged between 4 and 8 years old and retail at £9.99. Labels: Pet Parade Family Mum and Baby from Flair. Awesome review about Pet Stop Battery! And how interesting to see what Waffles does when he's home. It would be funny to catch some of that on hidden tricks.